The rate of opioid overdose in the United States has tripled since 2000. To make matters more complicated, it’s not always clear who is at risk for an overdose. The image you have in your mind of who a “drug user” is could be based on an inaccurate stereotype. International Overdose Awareness Day is this Thursday and we want to make sure that you have all the information you need to keep yourself and your friends and family safe — and to help you understand who may be affected and what you can do to help. 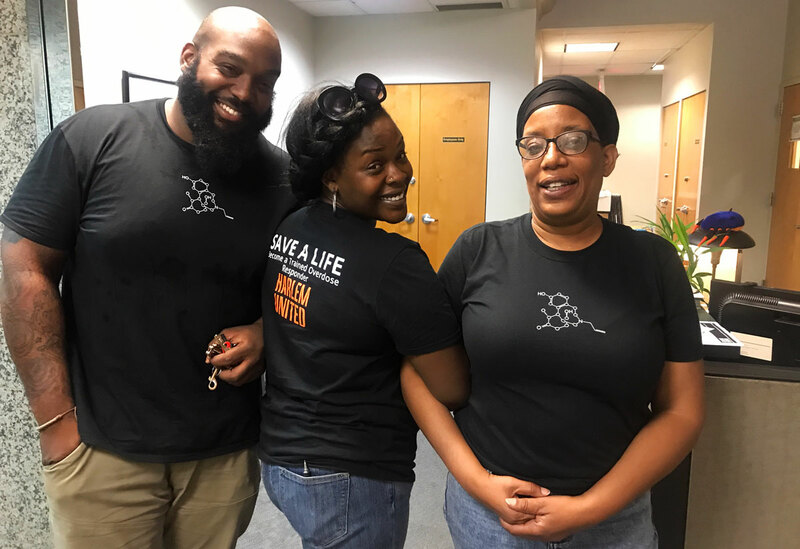 If you live in NYC, we offer training on overdose prevention and can give you Naloxone kits — a life-saving medicine that stops and reverses an opioid overdose. Get the details. What can cause an overdose? When you think of an overdose, a dramatic image of someone injecting heroin may come to mind but there are many types of opioids, all of which can cause an overdose death, and many that are legally available. Most people get their prescription opioids from a relative or friend rather than directly from a doctor, but prescription-opioid users are at the highest risk of overdose and death. We know that there are lots of reasons why you may be using opioid drugs or medications. Maybe you have chronic pain, maybe life is really stressful and they make getting through the day seem a bit easier. Or maybe you don’t want to be using them anymore but at this point you’re just plain addicted. Whatever your reason, we’re here to listen and to help—on your terms. Our highly trained staff specializes in treating patients with opioid addiction. Our harm-reduction based approach takes your goals into consideration and may involve medication, counseling, and/or other supportive services to address all aspects of your addiction. We can prescribe a variety of medications, include Suboxone, to prevent the impulsive cravings of addiction. Therapy can help a you to develop the necessary skills to meet your recovery goals. We can also prescribe Naloxone, a method of treatment to prevent overdose. We can teach you how to administer Naloxone to a friend or family member who have signs of overdose. If you’re interested in learning more about our services to help with your drug or medication use, email intake@harlemunited.org. If you’d like to receive training on how to prevent overdoses using Naloxone (and a free kit), email Isaac Hernandez at ihernandez@harlemunited.org. All communication is strictly confidential. Find an activity or hobby that keeps you busy to take your mind off the pain, as focusing on your pain can often make it worse. Learn to concentrate on your breathing. Yoga and meditation are good for your muscles and your mind. This is great way to kick start your recovery. Get a good night’s sleep. It is most helpful to stick to a normal sleeping routine every night. Avoid smoking as it can worsen painful circulation problems. If you live in NYC, we are hosting a free, community training on overdose prevention on Wednesday August 30 and will be giving out Naloxone kits — a life-saving medicine that stops and reverses an opioid overdose. Get the details. No Replies to "What you need to know about overdoses & the opioid epidemic"